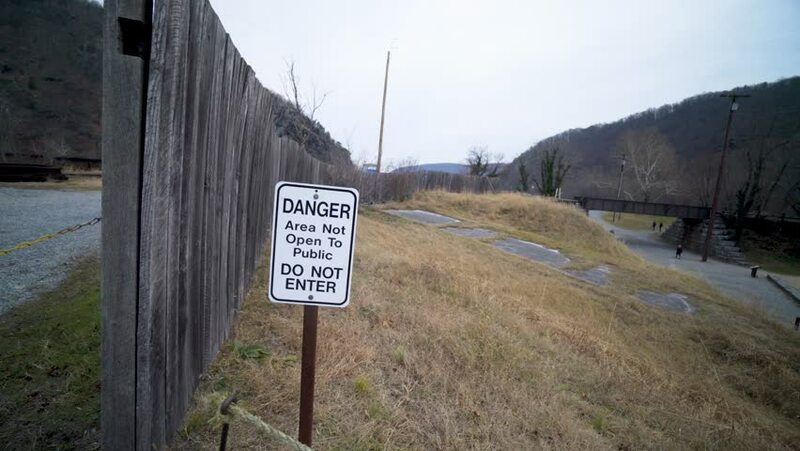 Danger sign at a construction area in Harpers Ferry National Park. 4k00:11ZANDVOORT - APRIL 10, 2018: A cyclist passes a welcome sign at the boundary from North Holland next to a cycle path in Zandvoort, Holland. 4k00:10A sign warning peoples of changing tides and not to camp on the beach.